Alec Baldwin has been one of Donald Trump’s most outspoken critics, and the “30 Rock” actor told Howard Stern in an appearance on the latter’s SiriusXM show Monday that there’s no doubt he’d beat the president if he were to run against him in 2020. The only things preventing the actor from running against Trump, he says, is his commitment to hosting ABC’s “The Match Game,” and his family. Baldwin said that his wife Hilaria would disapprove of his seeking the presidency. “It would be the funniest, most exciting, craziest campaign,” Baldwin added. And he wouldn’t be wrong. 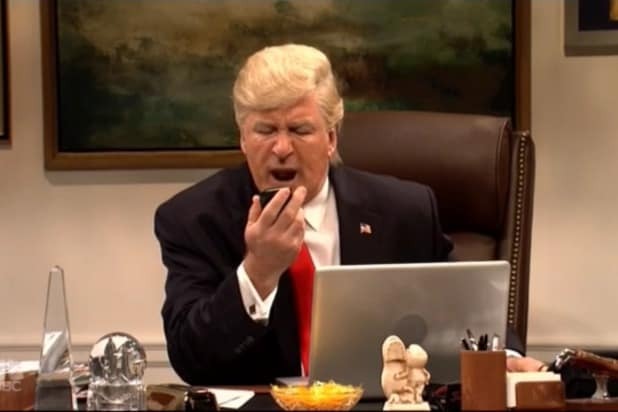 Baldwin won an Emmy in 2017 for his imitation of President Trump on “Saturday Night Live,” which earned him praise from liberals and scorn from many conservatives, including Trump himself. But for now, Baldwin is going to leave the campaigning to politicians, while offering a message for anyone deciding to run.